1. Prior to the Field trip, Dr. Roe mentioned that this entire project is an exercise in leadership. What do you think he meant by that and how does it apply to you and your level of participation in the process? 2. What major discoveries did you make during the visit to the Factory Test Tracks? 3. What connections have you made so far with the relationship between the math and science behind track design and rider technical ability? 4. Where do you see your prior knowledge, data collection from the test tracks on December 11th, and future learnings contruniting to the final product/outcome (track)? 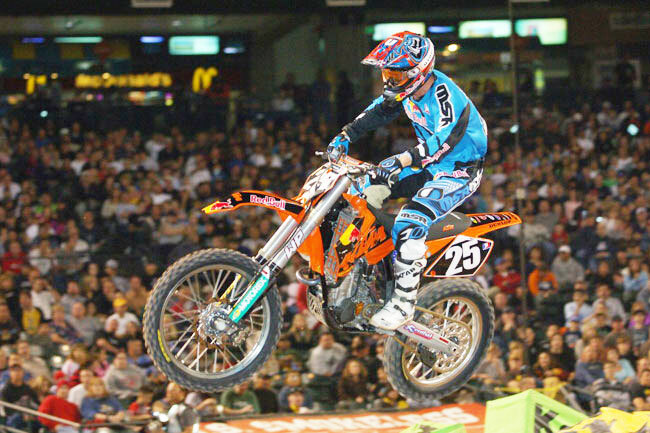 Science and mathematical applications to Supercross Track Design.